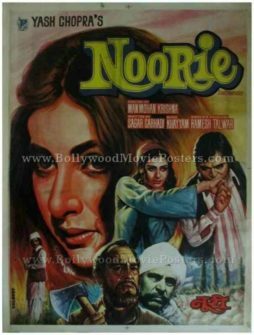 Vintage Bollywood poster of the super hit Hindi film, Noorie (1979) for sale. 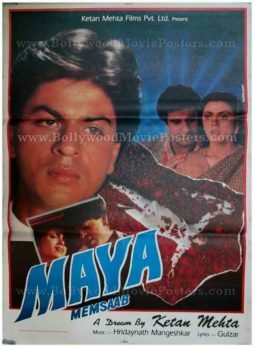 This is an actual surviving vintage Bollywood poster for sale of the 1979 Hindi film that was produced by the “King of Bollywood Romance,” Yash Chopra. Noorie starred Farooq Shaikh and Poonam Dhillon in a memorable love story. 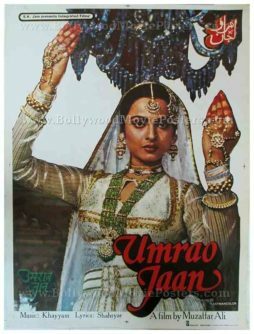 Printed and circulated shortly after the first release run of the film (late 1970s), this vintage Indian film poster for sale was originally designed for publicity of the movie but never ended up being used. This vintage Hindi film poster for sale features stunning hand painted artwork. Originally hand painted on canvas by a leading Bollywood poster painter, this vintage Bollywood poster features the star cast in astounding detail and accuracy. The soundtrack of Noorie was a stellar success. Songs from the film, particularly “Aaja Re O Mere Dilbar Aa Ja” are fondly remembered and played till today.